Whilst condemning the destruction to state properties, the solution to this incident in Mendi or similar other situations are not emotions or blaming each other! The solution is to analyse and dig out the root cause of such unprecedented insanity in Mendi! The need to root out the main cause of such a chaotic situation must be the National cry!!! Applying the security forces against the civilians is not a panacea. Deploying security to appease volatility is good but only a temporary and band aid solution! The young and the old alike need to assess this situation more intelligently and rationally than emotionally. For example, this shameful and abhorrent thing has happened in SHP where a lot of money has been going into . The SHP, including Hela Province (same) host the international standard petroleum projects...even more similar projects in the same provinces are in the pipeline. This province has produced MPs who are now playing the stewardship role of managing PNG's affairs. SHP leaders are captaining MV PNG. This province has come under international sympathy for disaster relief supplies when earthquake struck . ..
...And the same province has horrified the whole nation and the international community when supporters of a candidate burnt down a plane, South West Air hangar, the court house, governor Powi's house and liberating the prisoners. Commonsense tells us that there is no smoke without fire. It also tells one that in order to reap consequences of such disgrace, there must have been done certain things so detestable and ugly ... There must lie an ugly truth most don't know... that would have created a situation that facilitated a potentiality for such destruction. The SHP people, their elected MPs, the unelected candidates, the PNG electoral Commissioner, the Returning Officer and the Security forces top hierarchy only WILL NEED to unwind this fiasco the way they patterned it. If these parties are genuine and sincere enough to fix SHP then they will. Otherwise, the spill over effects will reach far and wide. Covering up systemic and systematic errors and defects by sending security forces will never solve such situation!!!! Another example is the error is the incompetency and inconsistency of PNG Electoral Commissioner Patilus Gamato's decision and his Returning officer's decision on the SHP balllot papers. Mr Gamato ordered counting when the returning officer did the exact opposite. We are talking about some 80 or so ballot boxes here. And mind you , both these officers are esteemed officers of the commission. Their failure has led to cascading consequences in SHP and nationwide in the 2017 elections. Young people should never for once think that an error or a corrupt act will be buried for ever!!! Because it NEVER does! It shows up sooner or later in any ugly form to the magnitude of evil thing that had been done !!! Neither should the young and/or the naive think that using people or leaders and, dumping and playing one against the other makes everyone happy! Such behaviour leaves many deeply hurt and ferocious people. It is just human nature. 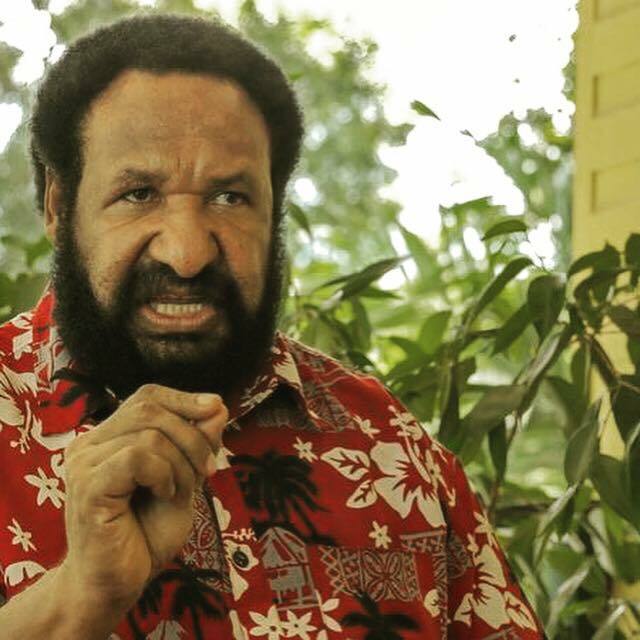 This situation is created by the action or inaction of stewards , custodians and systems who had been entrusted by the people of PNG to run FREE and FAIR elections! It needs these entrusted people to fix it. May be the Government should run an NEC meeting in SHP now. And summon the Electoral Commissioner to go to SHP NEC meeting and brief cabinet on this election related issue. Then based on Mr Gamato's recommendation find the panacea! OUR DEFENSE FORCE IS THERE TO DEFEND THE NATION AND THE COUNTRY FROM FOREIGN THREATS OR INVASION!!!! Not to wage war against its own people whether be criminals , arsonists or otherwise. Such job belongs to the Police.!!! So let us think long term and not short term as there is much more than meets the eye this moment!